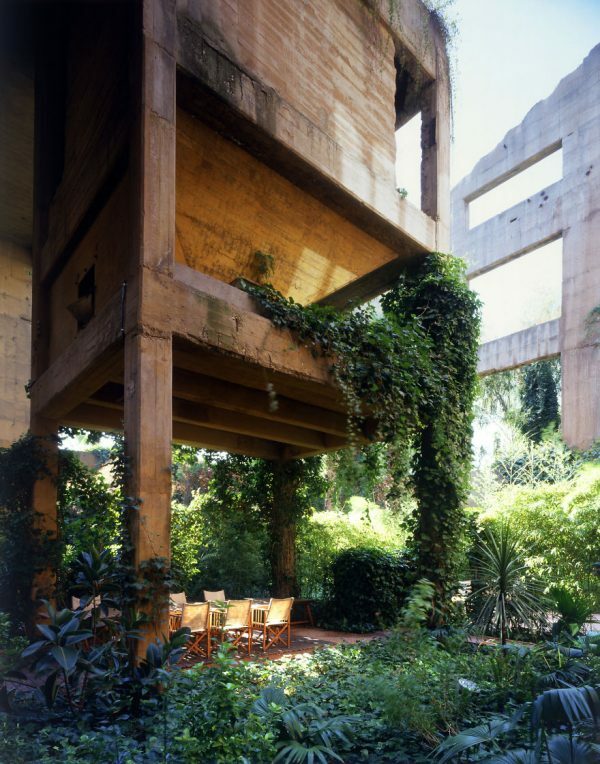 Once a polluting industrial complex, “La Fabrica” (The Factory), as Bofill’s compound is now known, now coexists in harmony with nature. 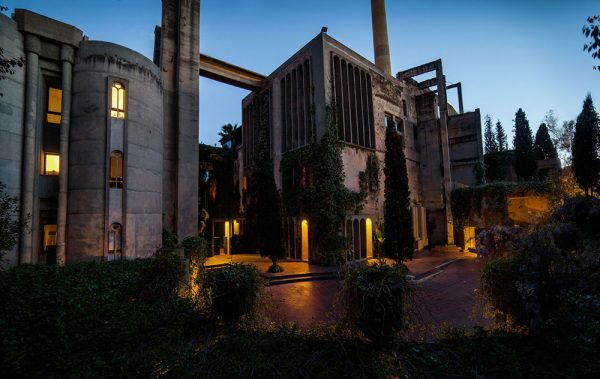 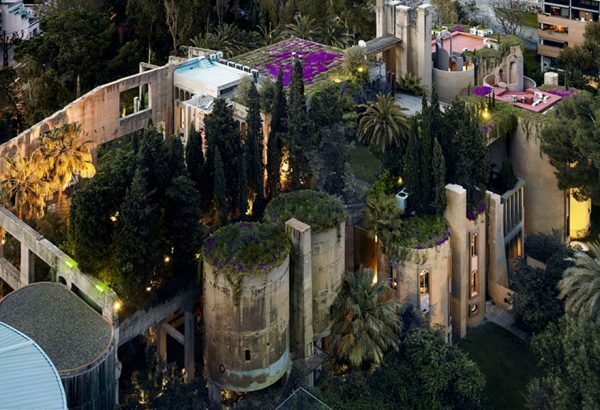 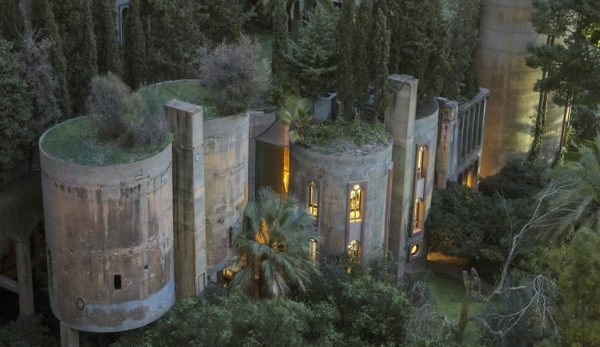 The giant concrete silos and buildings, the old smoke stacks rising up into the sky are all covered with grass and climbing plants, and surrounding them is a lush garden of eucalyptus, palms, olive trees and cypresses. 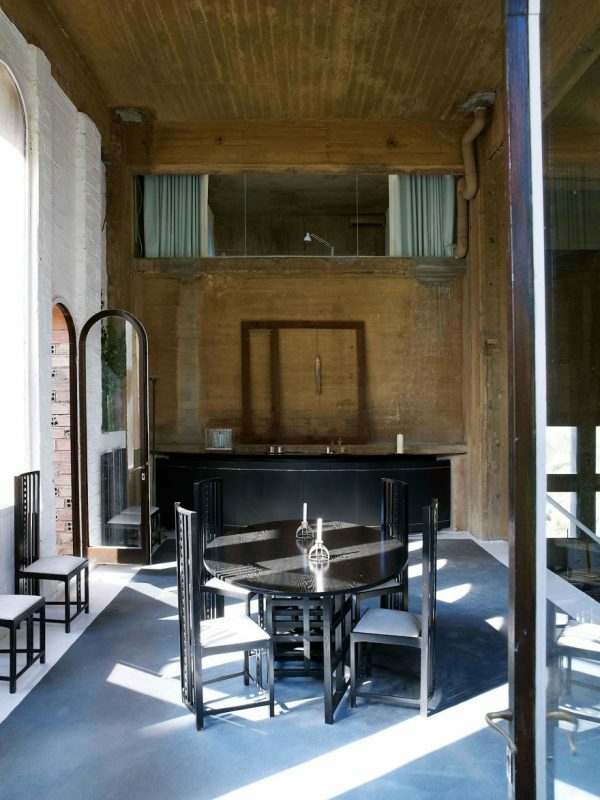 It’s a stunning site, but the interior is even more impressive. 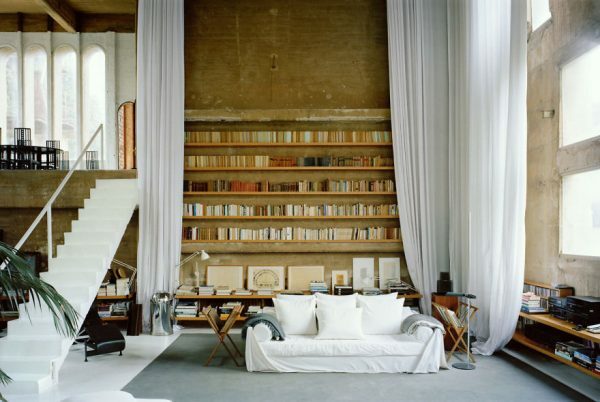 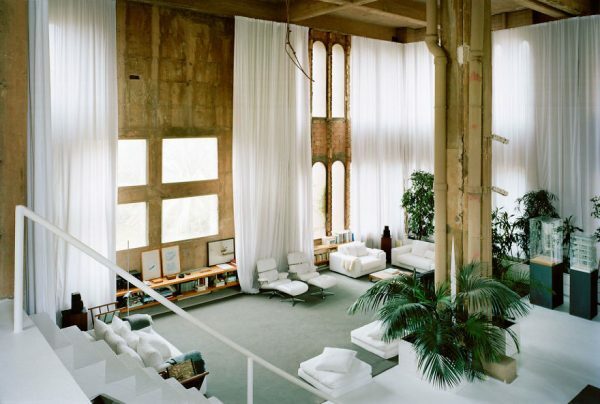 Even though Ricardo Bofill chose to keep the original concrete walls and the brutal lines of the buildings to preserve the “memory of the structure’s former use”, each of the dozens of rooms is uniquely decorated, so that none of them look remotely alike. 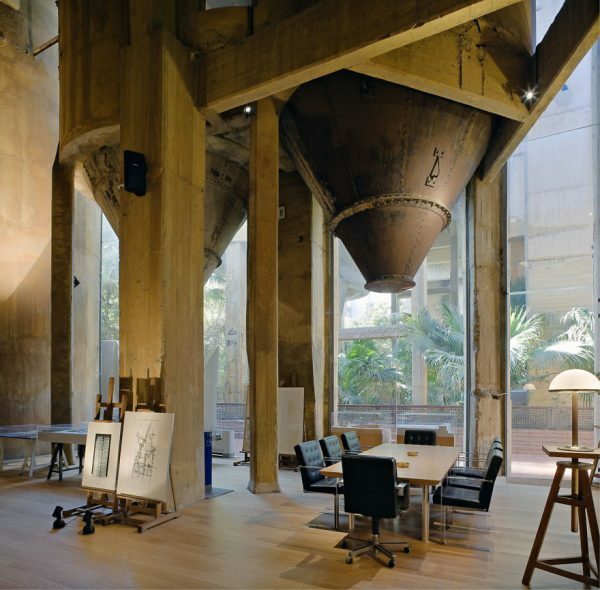 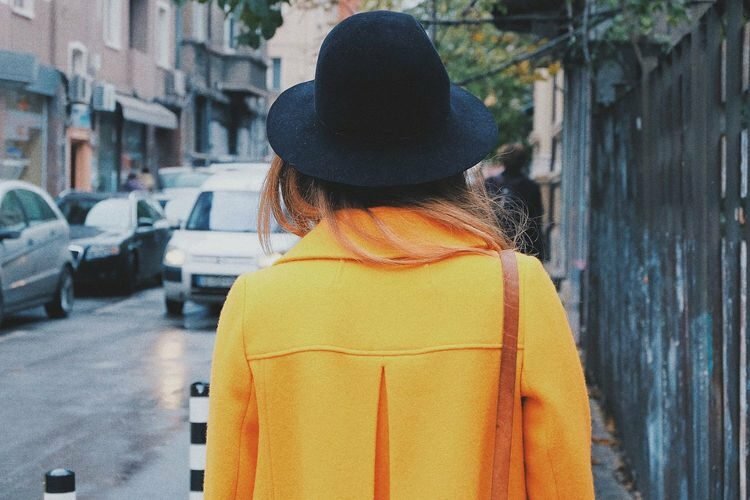 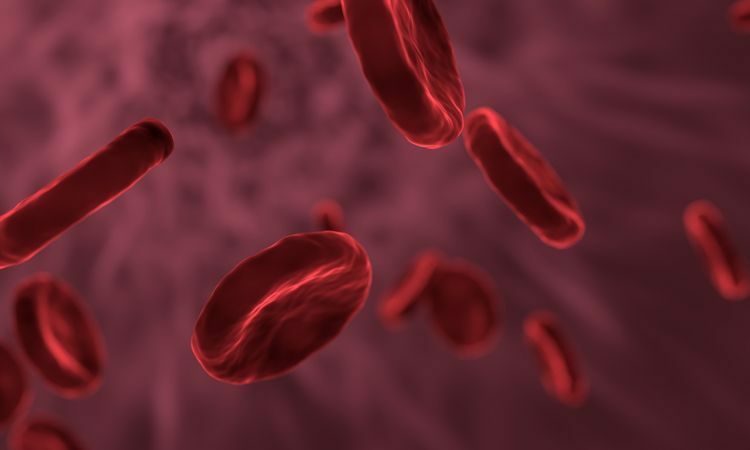 They all have their specific purpose, and are furnished accordingly; some even have remnants of their old function – like metal cement machines – blending with modern office elements. 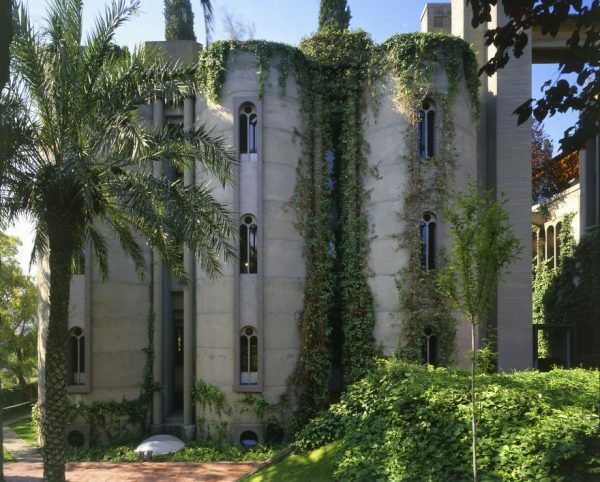 Having worked on La Fabrica for nearly half a century, Ricardo Bofil still considers it a work in progress, which just makes it more fascinating.